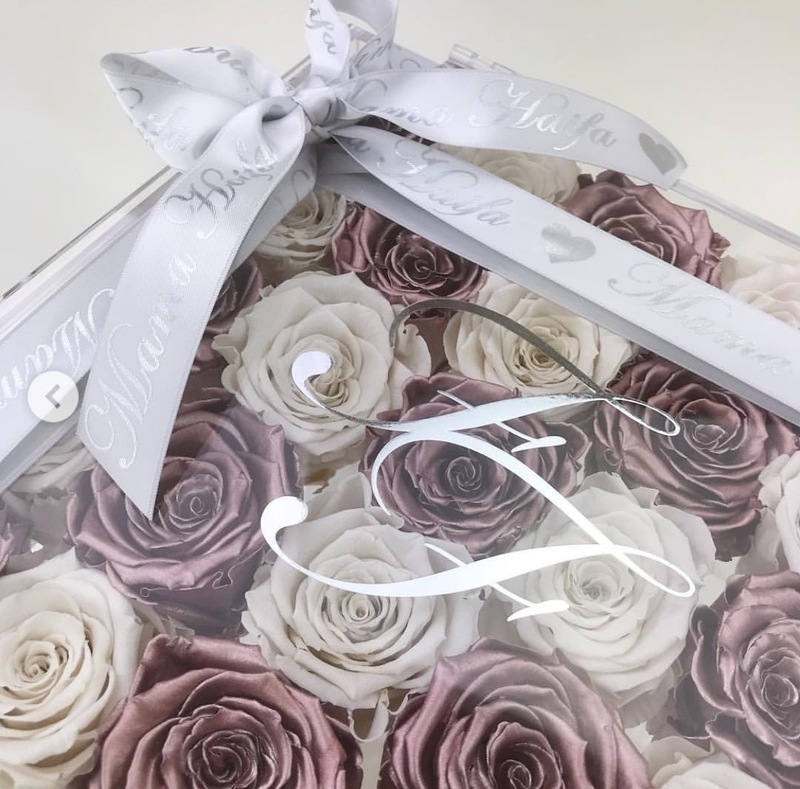 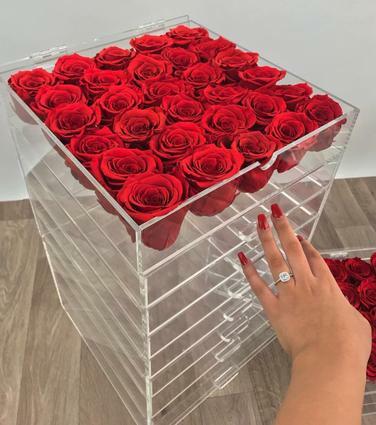 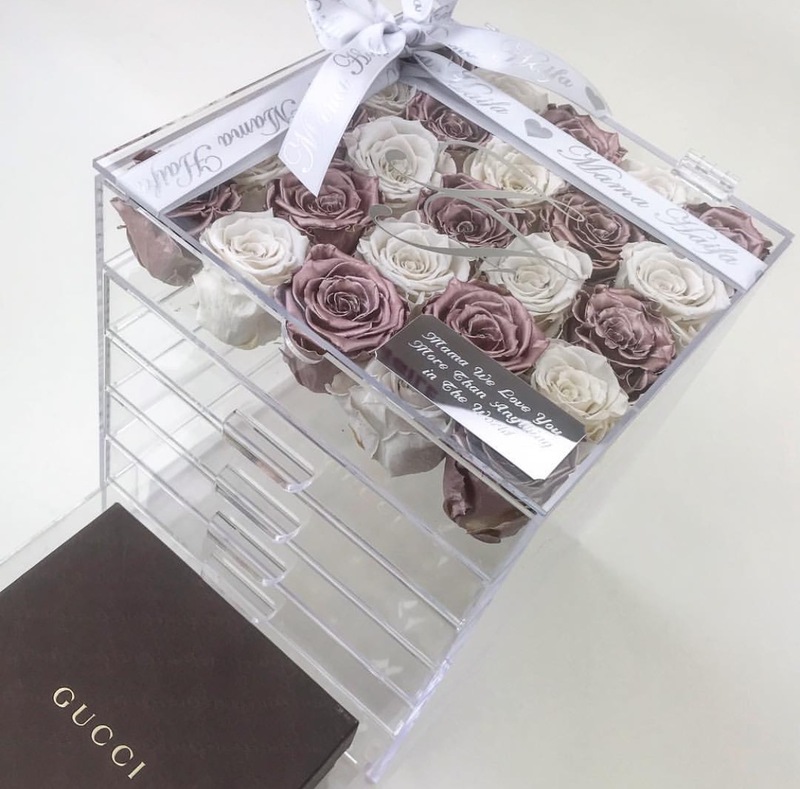 Forever Flowers for slay billionaire introduces their luxury Makeup Drawers with real preserved roses that last a year. 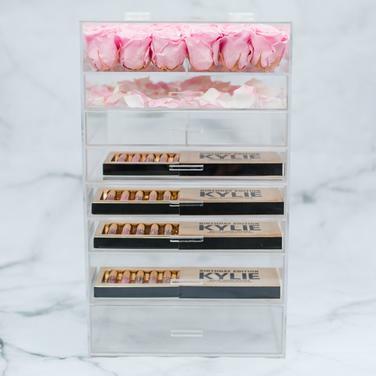 They’re the perfect way to organise your cosmetics/jewellery. 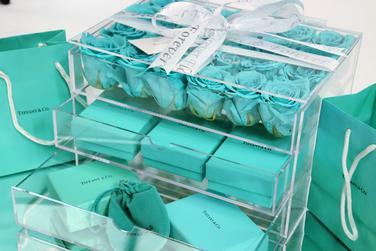 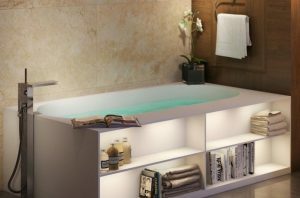 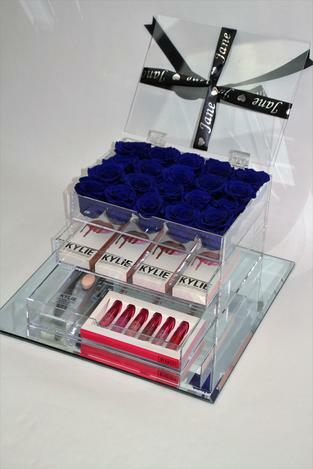 The Stunning 3 tiered clear perspex Makeup Drawers display 24-36 real roses that last a year. 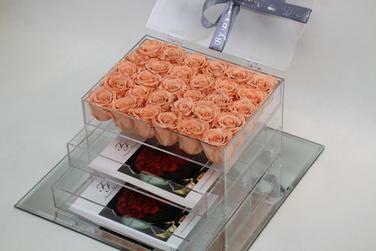 Available in over 10 beautiful rose head shades and two makeup organiser sizes.